One is by pages, and if we look at the settings here it says we can check either to show on all pages except those listed or only on the listed pages. And then we would fill in this item here with a list of paths. Now the idea here is that some blocks we'll want to show on most pages, and some blocks we'll only want to show on a couple of pages. 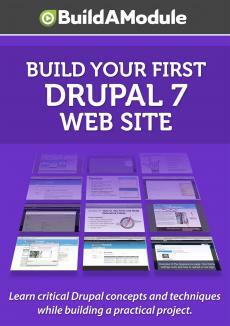 And you'll see this interface here for a number of different items throughout Drupal. So let's go ahead and take a moment and explain this. In order to really understand how this works, it's important to understand the difference between a URL and a Drupal path. The URL, if we look at the address bar here, says loc dot magnifascent dot com slash admin slash structure slash block slash add. The URL contains the domain name, as well as any subfolder that the Drupal installation might be in, as well as the path to the actual page. For this site we're in the base directory of the domain, and so there's not any additional folders that this page is located in.